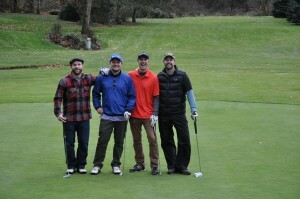 Join this fun group of golfers for 18 holes each week. The group keeps it’s own updated handicaps for the group and play for Low Net and Skins each week so anybody can win! Currently there is over $200 in the Hole-in-One pot! Tee Times begin at 8:00am during the Season and 9:00am in Winter. $30 each week which includes 18 Holes, $10 into the game, and $1 into the Hole-in-One pot. No need to call for a tee time or preregister. Just show up and play!